You don't read music, but you have pieces you've composed that you'd like others - who do read music - to play. What's the answer? You could either employ a professional transcriber, which is time-consuming and expensive, or you could invest in musical notation software. Through the power of MIDI (Musical Instrument Digital Interface) - a connection that translates what you play into the computer into notes on the stave. You can not only play the melody line, but add bass parts - even arrange for an entire orchestra if you wish. You simply play each part and it appears on the screen, all laid out. All you have to do is play them back and make adjustments as you need, then print them out. For those who haven't learnt to read music, it has many uses. 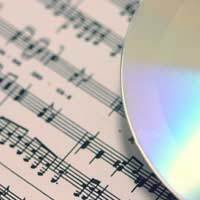 You can have any MIDI file transcribed, even those you find online. You can set up exercises for music pupils (including yourself! ), or even transpose the key in which it's written. One of the biggest advantages to music notation software is that it can act as a notepad for an idea. When a melody comes to mind, play it on a MIDI instrument and you have it all notated and ready to go back to later. You don't have to worry about remembering it. It allows you to try out different arrangements, to see what works and what doesn't, and how the different parts mesh. Before this you either had to have several instruments and play them well (plus recording gear, of course), or a strong knowledge of music theory. This makes music more democratic and accessible. The downside is that you need a MIDI instrument, which usually means a keyboard, so unless you play keyboards well, you can be stuck. You must also be a fluent player to execute the tune properly (that said, some programmes will allow you literally compose on screen, with a MIDI playback through your speakers, and you can then make your adjustments). There are many makes of software, and many varieties, from the basic to ones with more bells and whistles than you'll probably ever use. Sibelius is probably the most known, and respected by many musicians. But most offer several variants and add-ons. Expect to pay over £100 for software that will let you play music and have it transcribed, whilst a programme like Mozart, which allows you to write music onscreen and hear it played back, cost around £65. What you purchase depends completely upon your own needs, and, of course, your abilities. If you don't play keyboards, but expect to have to write scored arrangements, Mozart or something similar, is your best bet. Remember, though, even the best software can't turn you into a genius. To use the old computer phrase, 'garbage in, garbage out'. What appear of the page will only be as good as your ideas and your imagination. And you'll still need some basic knowledge of what various instruments can do, their range, for example. If you take those factors into account, music notation software can save a lot of time and trouble and make your ideas into complete reality. These days there are some free programs offering music notation and for composition. That’s the beauty of the Internet, things move at a rapid speed and everything becomes public, or available. Granted, the programs are relatively basic, but wait a year or two and you’ll be able to do it all for free.